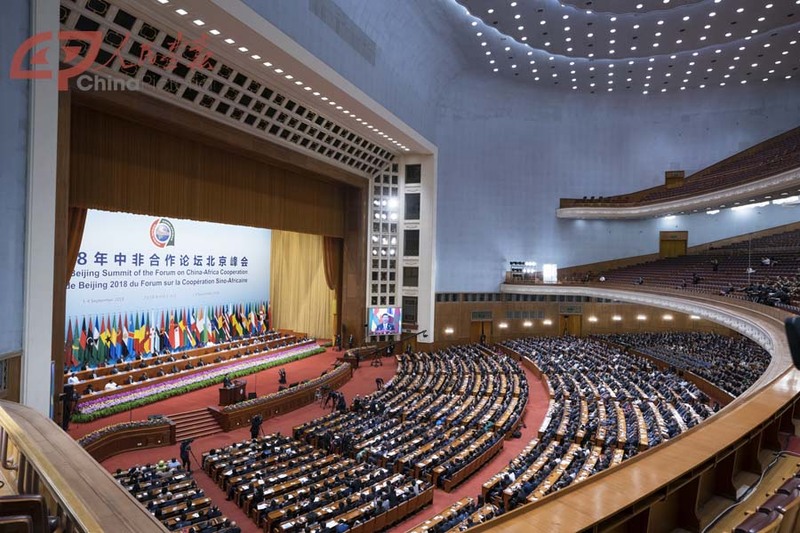 Chinese President Xi Jinping delivered a keynote speech at the opening ceremony of the 2018 Beijing Summit of the Forum on China-Africa Cooperation (FOCAC) on Monday afternoon. His speech won continuous applause and is highly praised by guests of the FOCAC Beijing Summit. Below are comments from some guests. Raobelina Andry, adviser to the president of Madagascar, noted that China- Madagascar relations have been going very well. President Xi Jinping proposed in his speech that China will increase investment in Africa, which will inject great momentum to the development of the entire African region, he added. Alfonso Nguema Ondo, Director General of Presidential Security of Equatorial Guinea, thinks that President Xi Jinping’s speech is quite impressive. “In my opinion, President Xi is one of the few leaders in the world who has a deep understanding of Africa. His speech will facilitate deeper cooperation between China and Africa,” he asserted. Kenya’s business representative E. N. Mwale told China Pictorial that the ten major cooperation plans proposed by President Xi Jinping at the opening ceremony of the Johannesburg Summit of the FOCAC in 2015 have been fully implemented and he is sure that the goals set by the Beijing Summit will also be achieved.